If you’ve spent a fortune you didn’t have, or spent your Christmas Eve in crowded shopping malls looking for that perfect gift for your husband….raise your hand! I love the Christmas season as much as anyone, but I don’t love the STRESS all the holiday to-dos add to my already overloaded mom schedule. Between home, work, and church, I’ve got plenty on my list. BUT a few years ago, I dispensed with all the Christmas madness and revolutionized the way I do Christmas and every other holiday for that matter. My number one rule: Put people first. Simple idea, right? It’s in line with my rule to choose people over things. 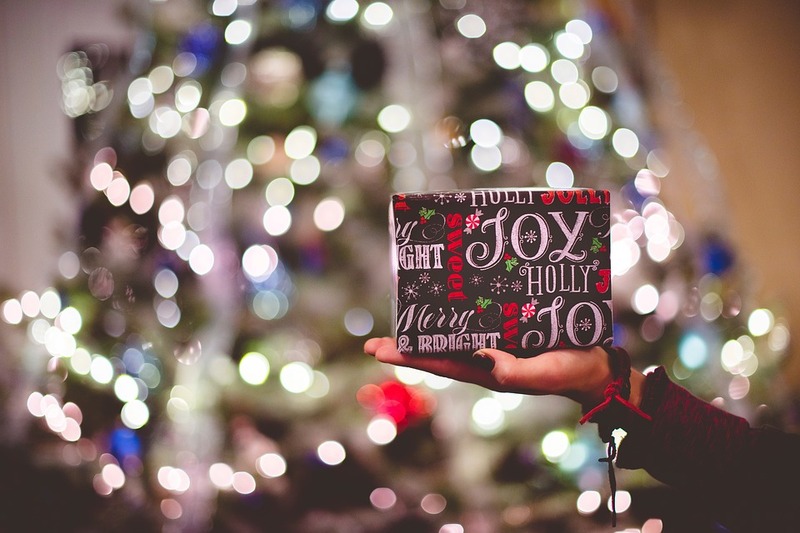 Let’s break it down so you really understand how this one thing simplified Christmas and saved my sanity. Here are a few items on my typical stress-filled to-do list, in no particular order. On the surface, there’s nothing wrong with my list AND I typically still do what’s on it, BUT as I think through the details, I focus on my family and what they need. This makes a world of a difference for destressing Christmas. Instead of thinking about my home, my Christmas meal, my shopping list, my gift-giving list I started focusing on what matters most to the people in my life. Here’s how I apply this principle. I have a Pinterest Board filled with drool-worthy Christmas tablescapes. My son (the only child) is not interested in all the little details like place cards and napkin folds. Are your kids interested? Probably not, UNLESS it’s really kid-friendly. So why drive yourself crazy with a meticulous décor scheme? Strive to make it pretty to satisfy your creativity, but don’t stress over details no one truly cares about. Now, instead of coming up with an elaborate décor plan, I take it easy. I’m a Home Décor and DIY fanatic, so of course, I want a gorgeous tree. I want it the be beautiful and sparkly and elegant and… you see where I’m going here? I want my tree to be STUNNING. And for years, I had a stunning tree. As my son grew older and we began to decorate the tree as a family, I had to let go of my perfectionist tendencies and learn to love a less-polished tree. Who cares if it’s beautiful if the only memory my son has of it is how frustrated mommy acted when he hung ornaments in the wrong place? Some people avoid this by having a kids’ tree in the den and a nicer tree somewhere else. My home is a little under 1200 square feet. I personally, don’t have space or time for that. And years from now I’ll have beautiful memories of my imperfectly perfect tree that we built together, not the Pinterest perfect photo ­thousands of strangers saved as inspiration. We all want our home to be spotless for guests. However, when I examine the people I invite over I realized–they don’t care about the few dishes in the sink or the dust on the top shelf of my bookcase. They want to be with us, not our stuff. Cleaning my house is still on my list, but I worry less about the dust bunnies and more about their comfort. Instead of making sure I polish every piece of silver, I purge the shoe basket by the door and add fresh socks for cold feet. I also ensure I have enough throws around so they can relax and take a nap. Pretty packaging makes me do a happy dance. Ribbons and bows and cute little tags are my jam. But read that again. MY jam. Not my son’s, not my husband’s, not most of the people on my list. I prefer to buy the heavily glittered, ornate Christmas wrapping paper at Target because well, it looks great under my stellar tree. But my son wants Ninja Turtles and reindeer. Uhh, so not me. But gift giving isn’t about me. Again, it’s about him. To stress less, I make my life easier and don’t spend a fortune on paper or extra embellishments. Waste of time and money when they don’t care. At the same time, I can still make my pastor’s wife squeal when I wrap her gift in beautiful paper…because she would NOT enjoy Ninja Turtles. If you make Christmas about them, you will make your Christmas simpler! With all that being said—you have to understand that you have limited time and limited funds. You cannot please everybody. This, my friend, means you’re going to have to prioritize the people on your list. I suggest you start with yourself. I know this seems counter-intuitive to your mom-guilt ridden conscience, but you can’t help anyone if you’re all broken down. 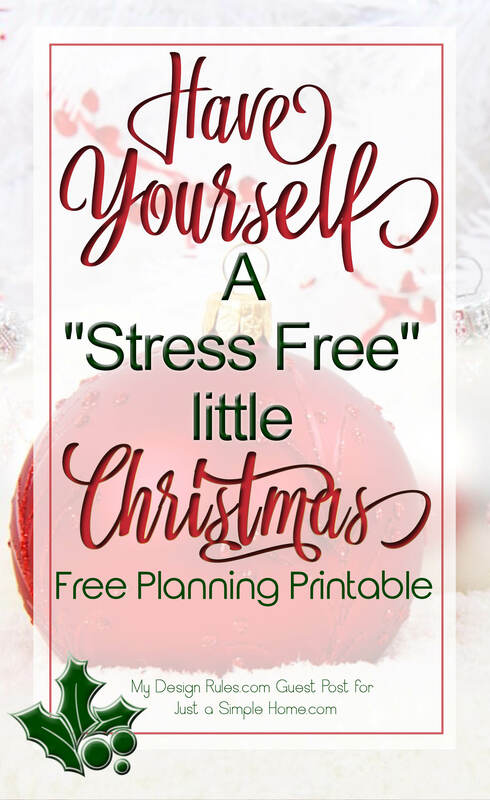 So, take a few moments to write down your list of whos before you write down your list of whats and I promise you, your Christmas will be a thousand times less stressful! I’ve included a little cheat sheet HERE to get you started. Get the entire set of holiday printables at www.mydesignrules.com/free-printables. 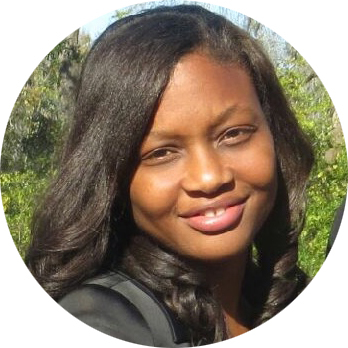 Hey there, I’m Kenyatta Harris, a self-proclaimed Home Décor and DIY enthusiast. I teach principles of designing a home and life based my simple core values at www.mydesignrules.com. I’m married to my college sweetheart, Lemuel. We have one amazing son, Jaylin, and call Tampa, Florida home. I love to share home décor ideas through my filter of rules, but I’m more interested in developing an authentic relationship with you. Come chat with me!